March 6th kicked off the Lenten Challenge for the youth. Many of them gave up various social media, and it has been really fun to see how it has impacted them. I know I am loving being more disconnected from my phone, and more present with my family and friends. Find a youth and ask them what they gave up for Lent. Be prepared to share the sacrifice you’ve committed to, as well! Also new, our third Wednesday Meal Ministry has changed shape a bit. We are now delivering meals to our shut-ins, community members in need, and packing some freezer meals EVERY third Wednesday! 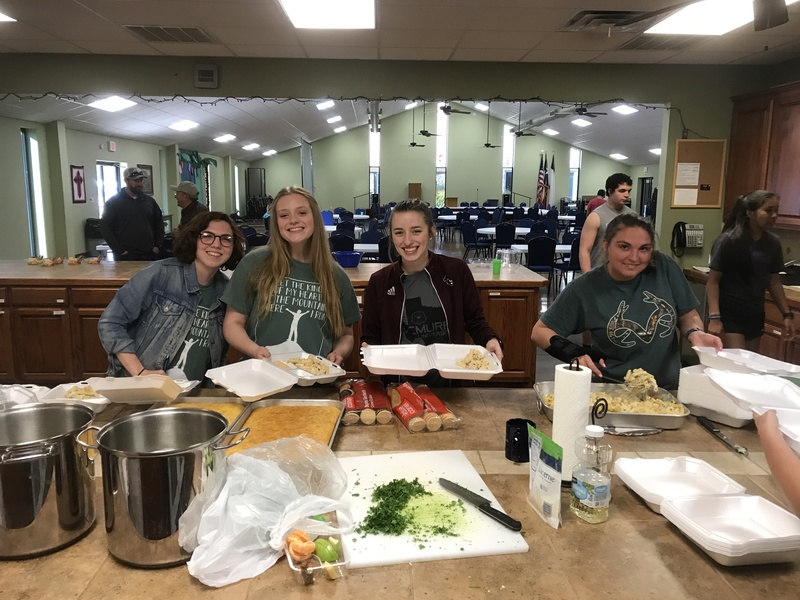 Our youth have enjoyed getting to spend some time with our shut-ins in conversation and prayer in addition to continuing to serve those who we have been feeding with Love and Care. Is this something you might be interested in helping with or giving to? Thank you for your continued support and prayer for the youth group. God has showed up in real ways in many kids’ lives as we have explored relationships, learned about others’ relationships, and strengthened our relationships with God by making more time and room for Him, and through serving and praying for our Clyde community. In April, we are looking forward to spending time tracing Jesus’ final steps. We will engage with the Stations of the Cross, and practice a traditional Passover Seder Dinner. The youth will also be leading the Easter Morning Sunrise Service, and we are looking forward to celebrating the Resurrection of our Savior with you all at Bob Gillespie’s property on Easter! Sunday Mornings 9am Sunday School! On 4/28 we will have Sunday School at Whataburger! Sunday, 5/19 is SENIOR SUNDAY! Join us after church to celebrate our graduating seniors!